Blue gold, Texas tea – Is water the world’s most valuable commodity? But today, even as the US appears to be on a fast track to becoming “energy independent” with new resources for crude and natural gas, one liquid is moving to the forefront of the scarce-commodity list. While two-thirds of the earth is covered by water, the vast majority of that is salt water, unusable in its current state for irrigation, drinking and most all other human applications. In fact, roughly only 3% of all the water in the world is actually suitable for human consumption, and only 0.3% is above ground in lakes and rivers. Who uses all that water? Roughly speaking, agriculture accounts for 70%, industry another 20% and general population consumption of 10% generally sums up the water use in the world today. In the US, power plants alone go through 136 billion gallons a day, meaning that this industry uses more water on a daily basis than do humans for drinking. Compounding the issue of an exceedingly limited fresh water supply is the fact that the water generally isn’t where you need it. While major US cities continually look for new ways to bring water into their metropolitan areas, this disconnect of “water supply and water demand” has never been more evident than in the energy industry, especially with respect to the water requirements for hydraulic fracturing, or fracking, in shale production. While fracking typically consumes less water than farming or residential uses, it is increasing in competition with traditional water consumers. This competition has been driving up the price of water in some drought-stricken regions. How valuable is water in a region where water is limited and shale resources abound? Take, for example, water prices in the plains north of Denver. In a normal year, farmers can pay anywhere from $10 to $100 for an acre-foot of water in auctions held by the nearby cities who have excess water supplies. But with energy exploration in the area now competing for that same water, energy companies are paying some cities $1,000 to $3,000 per acre-foot. From a global perspective, water-related industries generated over a half-trillion dollars of revenue in 2010 alone. While there currently aren’t exchange-traded water futures or ways to directly invest in water like one would with oil or gas, there are a number of water exchange-traded-funds, or ETFs, that offer exposure to the “water industry.” These water ETFs invest in companies operating in industries such as water treatment and purification, water utilities, water monitoring, and broader distribution and retail companies. 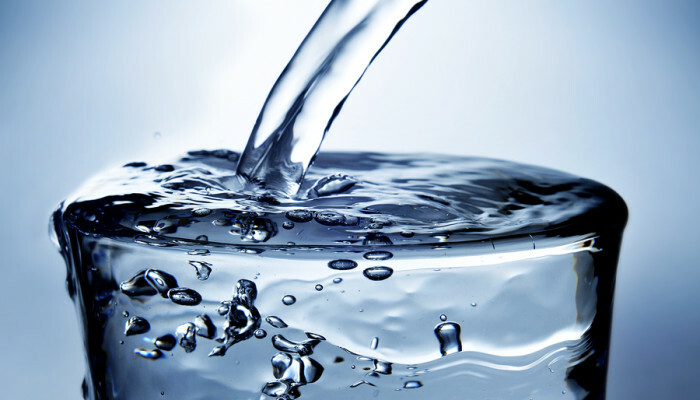 According to the Environmental Protection Agency, the U.S. water infrastructure alone will need nearly $400 billion over the next twenty years to ensure safe drinking water. Almost another $400 billion will be needed for upgrading the treatment of plants’ storage tanks and water distribution systems by 2030. Thus, as the U.S. overhauls its infrastructure, investors in the water industry may well expect significant gains over the next few decades. So far, the growing desire to invest in “blue gold” is paying off. Water resource based ETFs have rallied over 20% the past year to outperform the S&P 500 and are breaking out to multi-year highs. So, how close are we to the day when water itself will be up on the world’s commodity exchange ticker boards just like oil and natural gas, ie… “Water trading at $315 a barrel”? We may actually be closer than most people realize. Given that, by 2030, the number of people living in areas where water demand will exceed available supplies could rise 40 percent, and in the US alone there will be a need for 165 percent more water by 2025, the prospects for water becoming an exchanged-traded commodity is not a matter of if, just a matter of when. Energy storage: Did we reach critical mass in 2015 for the tipping point in utilizing renewable energy?